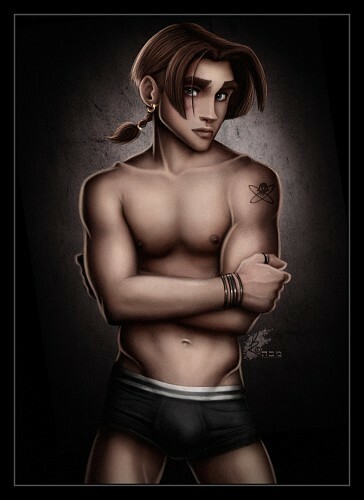 Jim Hawkins (Treasure Planet). Jim Hawkins from the 迪士尼 movie Treasure Planet as an underwear model, drawn 由 David Kawena.. Wallpaper and background images in the 迪士尼经典系列 club tagged: disney jim hawkins treasure planet david kawena underwear model deviantart fan art. This 迪士尼经典系列 fan art contains 猛男, hunk, 大块, 皮肤, 肤色, 裸色, 偏下体, 暗示裸体, skintone, 部分裸体, 隐含的裸露, 部分下体, and 隐含的裸体. There might also be 6折, abs, ab裂纹, 平坦的腹部, 六包, ab裂缝, 平坦的胃, and ab 裂纹.